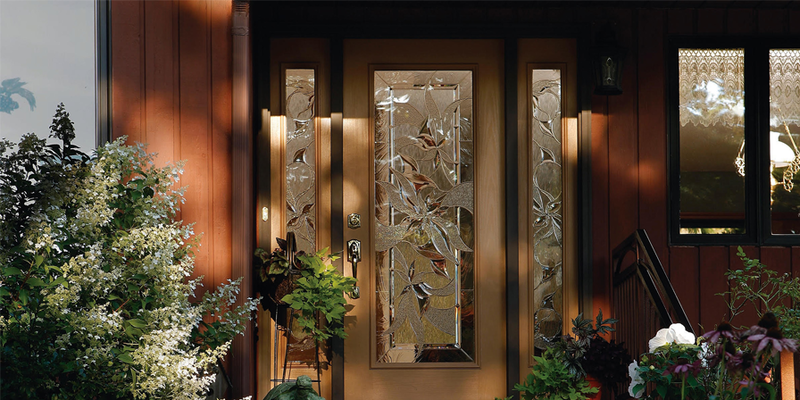 At Your Door, Our Glass, we make it as easy as possible to get the decorative glass door inserts you’ve always wanted! 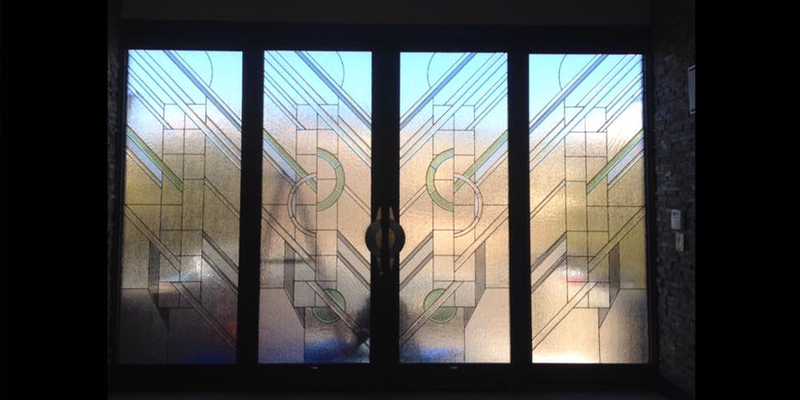 Our team will treat your home with total respect and ensure that the finished results of our decorative glass for doors installation is flawless and up to your high standards. Here is how we do it: A portion of your door is carefully removed and replaced with a beautiful glass door insert. These stylish and impeccable glass panels will let the light in and add incredible charm to any home. We cut your existing door and put in our triple pane decorative door glass. All of the decorative door glass is sandwiched in between the clear tempered safety glass on BOTH sides. This protects your decorative glass for years to come! The glass is one inch thick, making it thicker than all of the windows in your home. Once your door is done we paint the frame around your glass to match your door , inside and out. If you do not have the paint, do not worry, we take care of it, complimentary! No need to worry about a long drawn out messy project with us. On the day of your installation just sit back, relax, and in the time it takes you to watch your favorite movie, you will have a completely transformed door! You will gain beautiful natural light in your entryway. Get that curb appeal that you’ve always hoped for! We offer glass that gives a lot of natural light, as well as glass that offers a lot of privacy. 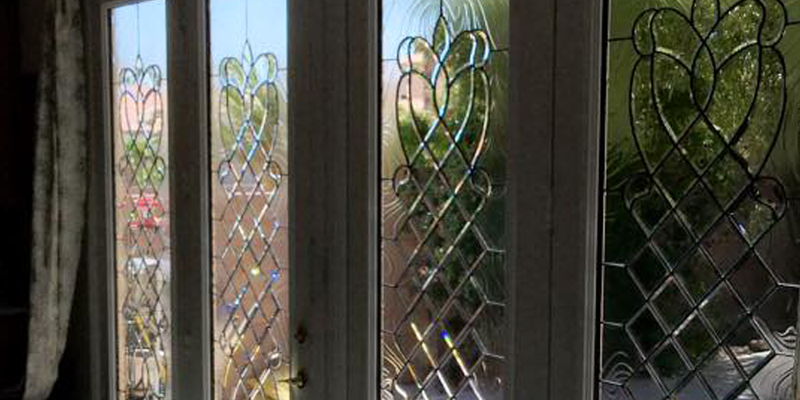 Our Decorative Door Glass is high-quality, triple-pane glass. All of the decorative glass is sandwiched in the middle of two pieces of tempered safety glass, making it very thick. When you look at the glass, it appears that you can touch all of the different textures, but when you touch it, it is completely smooth. You can only feel the tempered safety glass, inside and out. This protects the detail for years to come, and makes cleaning the glass a breeze. Be leary of decorative glass manufacturers who offer one layer and two layers of glass. This is not only unsafe, but it is hard to clean. 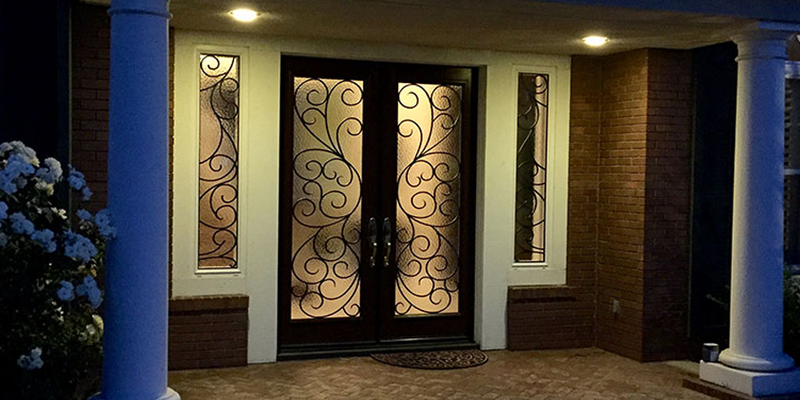 Your Door Our Glass specializes in Decorative Door Glass. All work is custom made in our specialty showroom. Remodeling an existing door costs about fifty percent less than replacing a door. If you opt for iron, the savings is even higher. 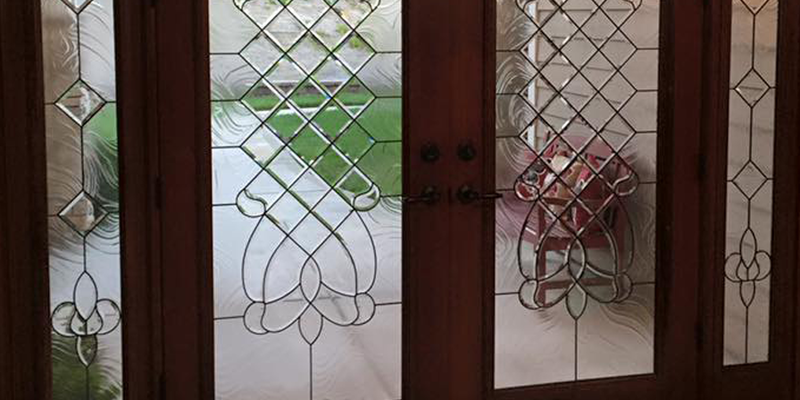 Remodeling entry doors with decorative art glass is a new, cost effective trend in interior design without the mess. Your doors never leave your home; all work is completed in your driveway or garage, in sixty to ninety minutes. All panels come with a custom milled poplar raised molding; this gives the appearance that your doors came with the glass, once painted to match your door(s) inside and out. Remodeling your entry way is an effective way to add light and beauty to any home, inside and out. We can also match your windows, sidelights, transoms, and cacinets to match your door glass. We have many styles of glass to choose from. Many styles have a great combination of both light and privacy. When you have your complimentary design consultation, your consultant will show you which glass designs are going to fit your home best, based on your desired privacy and light levels. Warranty – All of our glass and iron comes with a 10 year warranty. Once painted, if your door(s) are facing the sun, the paint on the frames will need to be freshened up about every 3-5 years.